We provide tips, news and advice for Brits starting new lives abroad. Our Around The World Blog shines a light on today's most popular destinations for UK expats, helping you to choose between cities and countries that are suitable for your lifestyle. Hundreds of hours of research have gone in to our Country Expat Guides to provide an in-depth look at the factors you need to consider before making it your new home. We also have dozens of Expat Resources where we answer your top questions, from handling the logistics of leaving the UK, to finding a new career overseas, and to conquering any potential homesickness! There are over 4.5 million UK expats scattered around the world today. Where do they live? What is their quality of life? Our Around The World Blog covers the most popular expat spots for Brits. Get inspired! 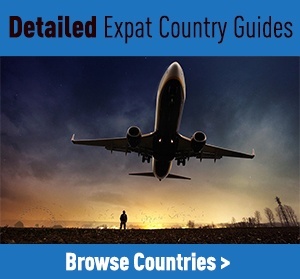 Our detailed country expat guides are a great way to get up to speed with the pros and cons of moving to a particular destination. We cover the essentials: visa requirements, way of life, education, job opportunities, climate, local communities and popular expat towns/cities.